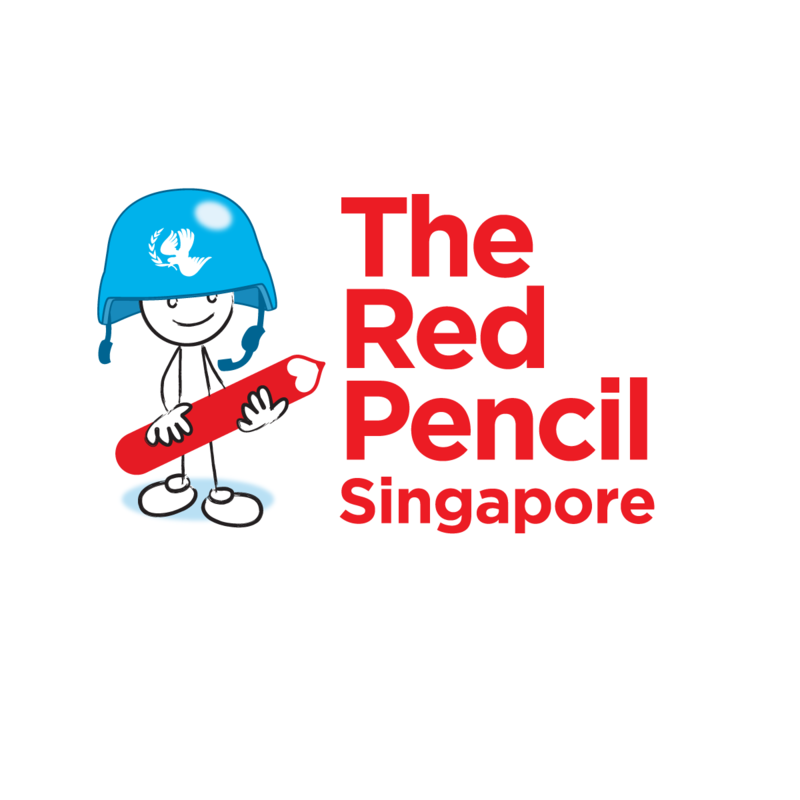 Founded in 2011 in Singapore, The Red Pencil (Singapore) is a humanitarian organisation advocating the use of arts therapy (visual art, music and movement/dance) to help children and families who are caught in overwhelming life circumstances such as grief, loss, displacement, violence and uncertainty. Arts therapy is a unique form of psychotherapy which encourages emotional expression through art – by facilitating non-verbal communication and engaging the brain and body in ways that verbal language does not. Through various art mediums, children and adults are encouraged to express themselves in a different and meaningful way on what they have been through, on their emotions and on their expectations for the future. This helps them resolve issues, cope with their difficult situations, heal their psychological wounds, re-build their self-esteem and slowly grow into confident human beings again. The Red Pencil unique model of intervention is rooted with the core understanding that arts therapy is essential to support those coping with the aftermath of traumatic events. We offer comprehensive cycles of arts therapy sessions which are led by certified and registered arts therapists, to the most vulnerable groups and individuals. We collaborate with local and international NGOs and organisations that are able to identify where the most crucial needs are on the ground. These organisations reach out to The Red Pencil for arts therapy programmes to complement their work in the field. We receive requests from hospitals, shelters, prisons, schools, family centers. We intend to use the funds raised for marketing and communications purposes, so that we can continue to raise awareness for our local programmes. The students are welcome to drop by our office to learn more about our work in detail. They can also participate in our community events as volunteers.